America is getting more diverse every year. By mid-century, it looks as if the United States may become a majority-minority nation, a place where whites make up less than half the population — while African-Americans, Asians, Hispanics, and other minority groups together account for slightly more. That is, if you trust the projections. But not everyone does. 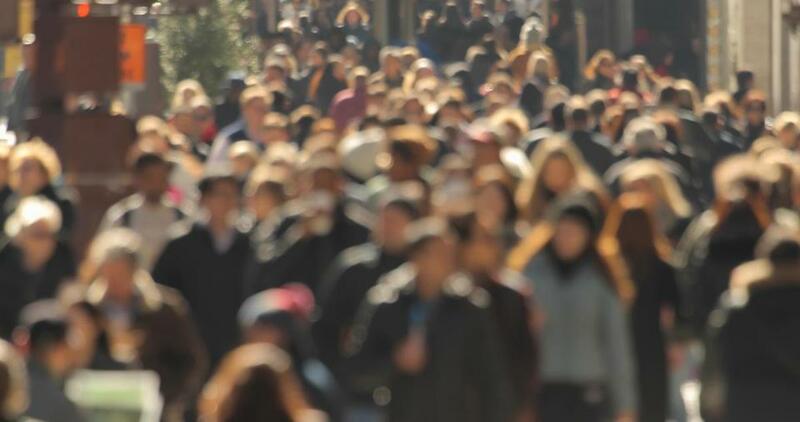 Skeptics have begun to raise new questions about the inevitability of America’s demographic shift, highlighting unrealistic assumptions in the Census Bureau’s forecast and emphasizing that race — including people’s sense of racial identity — is a surprisingly flexible thing. This debate could have big political implications, since so much of American politics seems to hinge on demographics — with Democrats dominating among minority groups and Republican Donald Trump building strength among working-class whites. If America’s majority-minority future is less certain than it appears, the Democratic coalition may prove less potent than assumed. Is America becoming a majority-minority nation? Back in 1965, whites made up about 85 percent of the population, according to an analysis from the Pew Research Center. The remaining 15 percent was overwhelmingly African-American. Since then, the white majority has shrunk to just over 60 percent, while Hispanic and Asian groups have gained a new demographic prominence. Today, Hispanics make up about 18 percent of the US population; Asians about 6 percent. The African-American population has stayed roughly constant. Looking to the future, Pew expects these trends to continue, so that by 2055 these onetime minority groups will collectively represent a majority of the US population. The Census Bureau says that will happen by 2044. Will these projections hold up? Projections like these require a lot of assumptions, and in this case some of the assumptions seem strained. In a recent article for the American Prospect, sociologist Richard Alba critiqued the Census Bureau for essentially over-counting tomorrow’s minorities by assuming that every child with at least one Hispanic, Asian, or black parent would grow up with the same minority identity as that parent. Census assumes that all children with a Hispanic parent will ultimately consider themselves Hispanic, and children with an Asian parent, Asian. Pew looks just at mothers and makes a similar conclusion. But this isn’t how things work in the real world. Over time, some children with minority parents grow up to think of themselves as white — particularly when they have one minority parent and one white parent. A recent paper in economics found that by the third generation, about 18 percent of Hispanic children stop identifying as Hispanic. Among Asians, the effect was even stronger; 42 percent of third-generation children no longer identified as Asian. And this is just the first difficulty with determining exactly when America will become a majority-minority country. Perhaps the bigger issue is that racial and ethnic categories — like “white” or “Hispanic”— can be extremely fluid. The Census Bureau found millions of instances where people selected a different racial identity in 2010 than they had in 2000, an effect particularly pronounced among people with multiracial backgrounds. Of course, we’ve known for a long time that race is subjective. In the early 20th century, Italian, Greek, Jewish, Hungarian, and many other immigrant groups were considered neither black nor white but “in-between,” according to American Studies professor David Roediger. As an indication of this racial ambiguity, consider that in 1898, the state of Louisiana debated whether to disenfranchise Italians alongside African-Americans. Over time, this “in-between” status fell away as the immigrants assumed a more stable position in white America. It’s not impossible that the early 21st century will see a similar change, with Hispanics or Asians similarly folded into the definition of white. Does it matter if the US becomes majority-minority? Nothing magic occurs at the moment when (or if) whites become a minority of the population in the United States. Given all the variables — deaths, births, changing racial identification — it could very well happen without anyone knowing. But the trends are still important, and not least for the future of American politics. Start with Democrats. Given their outsized advantage with minority voters, Democrats stand to benefit tremendously in a majority-minority America. But if the skeptics are right, and the growth of minority populations is slower than today’s projections would suggest, their hold on the future may be much weaker than expected. A lot would depend on those children of minority parents who start identifying as white. Will they keep the more liberal political preferences of their parents? Or will they shift to more conservative politics? For now, it’s simply not clear. On the Republican side, Trump’s success so far this season shows the growing power of an anti-immigrant platform to mobilize white, working-class voters, many of whom feel disempowered in modern America. Nearly three of every four Trump supporters said that discrimination against whites was as big a problem as discrimination against minorities in an autumn poll from the Public Religion Research Institute. It’s hard to say exactly what happens to this right-populist approach if America’s majority-minority future is further out than expected. On the one hand, it could soften the urgency of Trump’s message, pushing out the perceived risk of a white minority. Then again, it could prolong the viability of a white-dominated political movement, providing a slower-shrinking base of Democratic voters each election season. In the end, the political effects are as uncertain as the demographic projections. Still, the future of American politics may depend on the shifting balance between whites and nonwhites in the United States. And for now, it’s not clear how quickly that shift is happening.